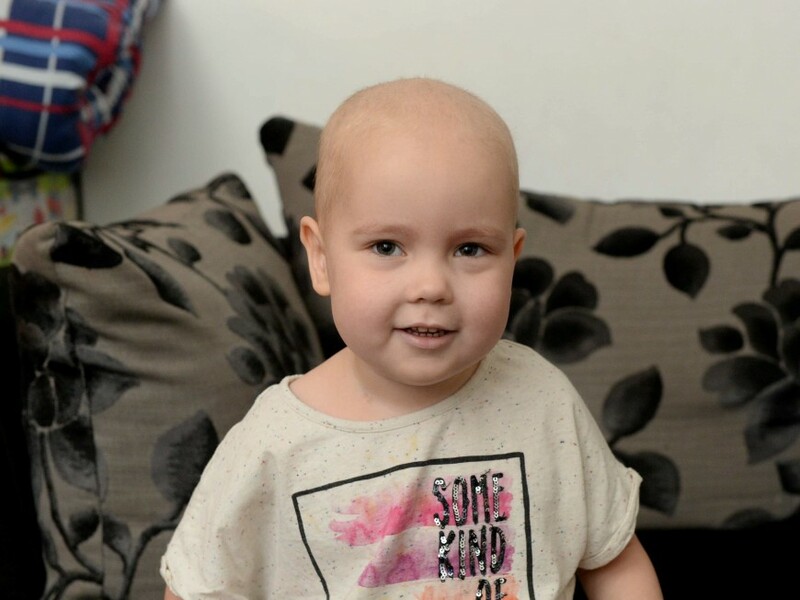 A brave four-year-old girl has been struck down with cancer – after doctors initially dismissed the deadly disease as TONSILLITIS. Skyla Barker was taken to her GP by her worried mother after becoming pale and lethargic, but was told she had the common throat infection and sent away. Mum Shannon Pettit, 20, insisted on blood tests and was left horrified when they revealed days later that her daughter had leukaemia. 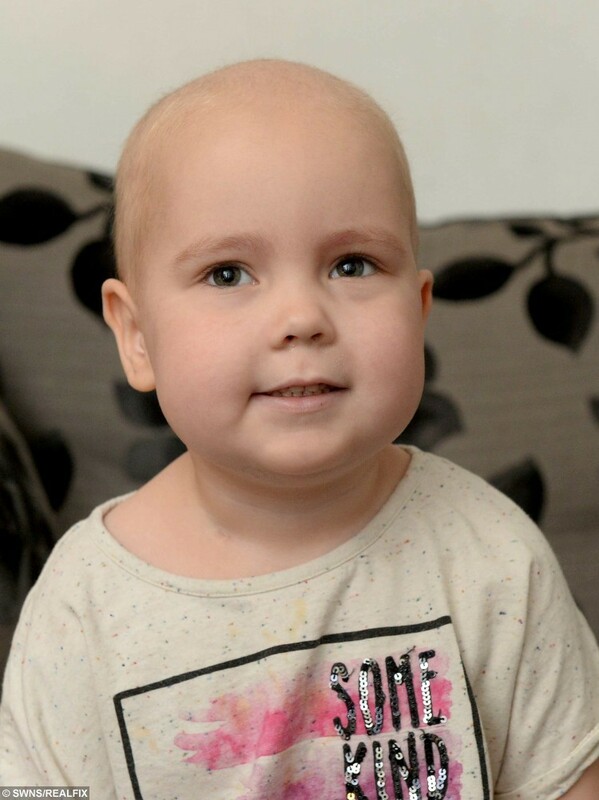 Now brave Skyla faces two years of chemotherapy and treatment to fight off the cruel illness that attacks bone marrow. Shannon, from Longton, Stoke-on-Trent, Staffs., says: “It was so scary when Skyla was diagnosed. “She is so young. I can’t even describe what went through my mind. “After her first month of treatment, her legs went weak and she couldn’t walk. “We’ve been in and out of hospital so much. I just want things to get back to normal. But Skyla is a strong girl. “In two years’ time my wish is that she will stop her treatment and be clear, I know she will. She will beat this leukaemia, and then, I hope, never have to face it again. “The doctors must have thought she had more than just tonsillitis. “Two days after going to the doctors she had blood tests at the Royal Stoke University Hospital and then a bone marrow test at Birmingham Children’s Hospital. “For the first six weeks she had to have chemotherapy one day every week at the hospital. “Now she has it every month, but she also has chemotherapy in medicine form at home every day. Skyla’s blood cell count plummeted to 34 instead of the average 130 when she was first diagnosed this summer. Her 13-year-old uncle, Kieran Bentley, organised an eight-mile sponsored walk to raise money for Leukaemia CARE and Children with Cancer UK following Skyla’s diagnosis. Shannon, who also also has a one-year-old son, Bentley, added: “Kieran and Skyla have always been incredibly close. “He understands what she’s going through, but Skyla doesn’t really, not properly. 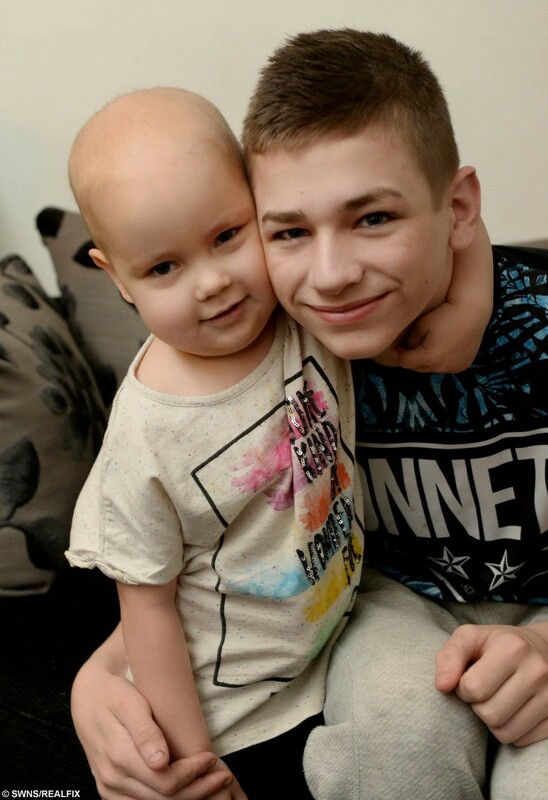 Kieran added: “It came as a real shock when we found out Skyla had leukaemia. Kieran’s mum, Alison Hollran, 50, said: “I see Skyla everyday. We were devastated when she was diagnosed with leukaemia and still don’t know if she’s going to pick up. “She has always been running about, an extremely happy child. But it got to the stage where she didn’t move at all. Royal Stoke University Hospital consultant paediatrician Dr Sarah Thompson said: “Skyla has responded well to her initial treatment so we would be quite positive she will have a very good outcome. “Despite being so young, she has been coping with this incredibly well. « Previous post Hilarious moment a Bulldog had to be rescued from a cat flap!